The Philippine economy has been performing admirably in the last 3 years or so. Most macroeconomic indices, stock market, and many other indicators confirms how the country is faring economically speaking. Spending power of the Pinoy has also gone up as evidenced by more robust trade and higher consumption. As in previous years, the OFW and the BPO sectors have been a big positive factor with regard to economic activity and income building but there has been growth in other sectors too such as manufacturing, services and tourism. Unfortunately, the agriculture sector seems to be a laggard, which is unfortunate because the bulk of our unemployment is agrarian in nature. There are a lot more room for improvement and we just scratching the surface in unlocking the true potentials of this beloved nation. The continuous credit upgrades we have been seeing is a testimony to what we have done and we can do in the future. Will 2015 see the same trend of the past years? Many of us believe so. The momentum of the nation is in full gear and we can build on many of our accomplishments. A lot of concerns has been raised with the coming 2016 elections. Clearly, the next administration will be crucial in the sustainability of our growth trajectory. However, we also believe that the reforms instituted by the Aquino administration and the previous ones will play a big role with regard to our economic performance and can safeguard our gains regardless of whoever runs the nation after 2016. In fact, the credit raters feel that our growth will continue beyond 2016 which is why they are giving us the upgrades. Beyond the OFW remittance, growth in the BPO sector, renewed vigor in the manufacturing, tourism and services sectors, what can we expect from 2015? In 2015 there are exciting things for us to look forward to – the integration of the member-countries of the Association of Southeast Asian Nations and our entering the demographic sweet spot’, among other things. 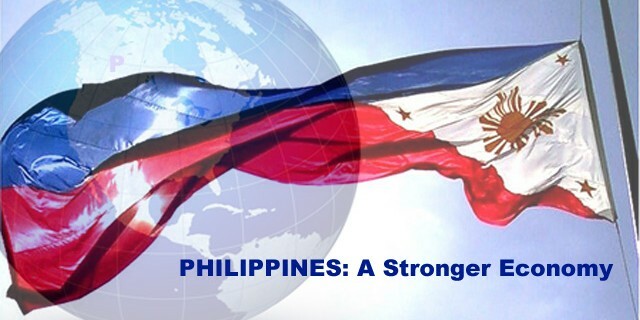 Asean integration will begin in 2015, and the creation of an economic community will give us many opportunities depending on how we handle ourselves. There are sectors where we will have competitive edge over our neighbors, but there are also sectors where we will be at a disadvantage. The demographic ’sweet spot’ is the period when the majority of the population of the country reaches its most productive stage: between 15 and 65 years old. Studies have shown that countries that enter this ’sweet spot’ experience the highest economic growth in their history. The experiences of Japan, Korea, Hong Kong, Singapore and China support this theory. Our demographic ’sweet spot’ starts in 2015 and will run for about 30 years or until 2045. As in previous years, I will be featuring the 2015 Outlook of many experts whom I admire and whose opinions I trust. The views will be coming from a diverse field – from investment analysts, economists and others from the financial services arena. Make sure you visit this site often as I will be putting up their views regularly in the next two weeks. As we remain bullish with 2015 and the coming years, it is always a good idea to be optimistic but with a dose of caution. Continue to be prudent with the way you handle your money – diversify your wealth and make sure you understand the risks in any endeavor you are getting into. Further, may we not forget that all these are blessings from the Lord. After all, wealth, and the ability to create wealth come from the Lord; and it is not for our purpose but for His. You can still avail my books with discounted bundles up to January 7, 2015. Click HERE for details.